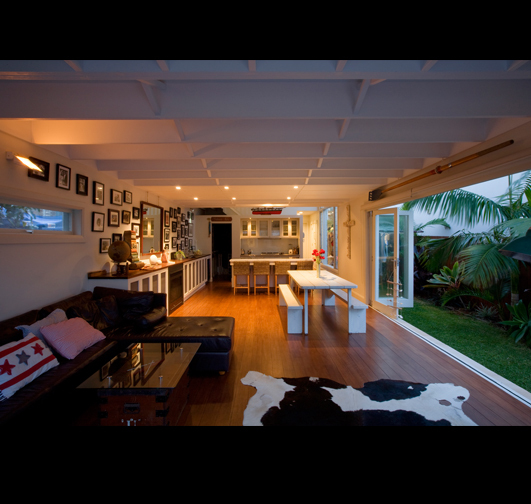 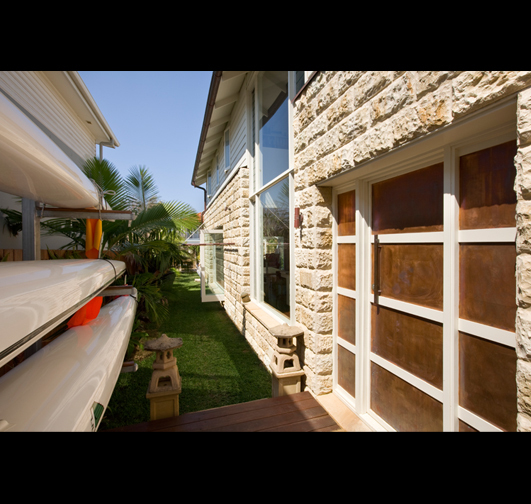 This renovation was to a 1970s single storey brown brick house on Sydney's northern beaches. 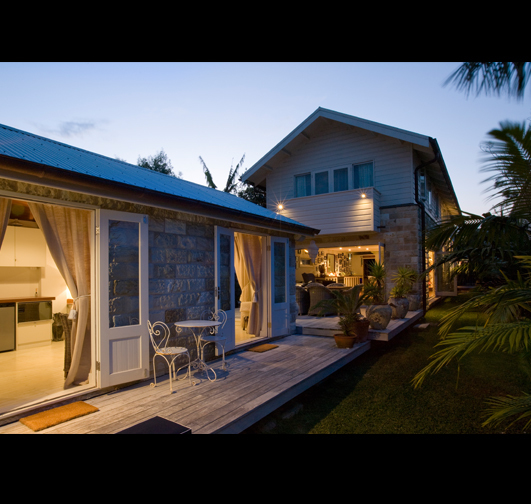 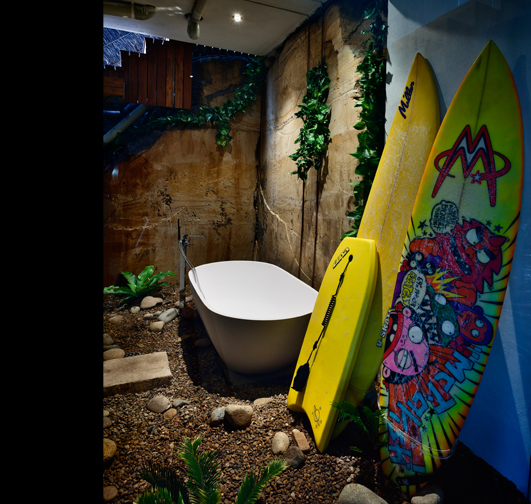 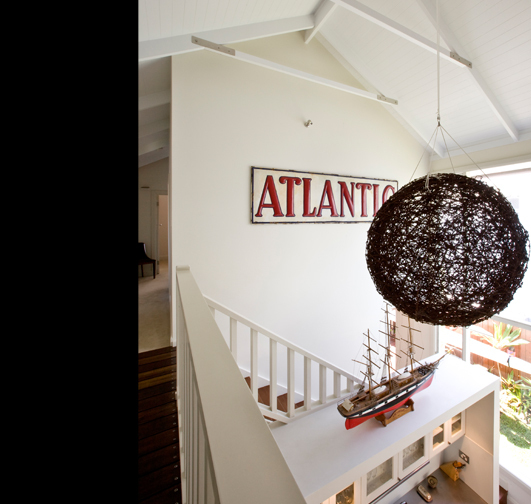 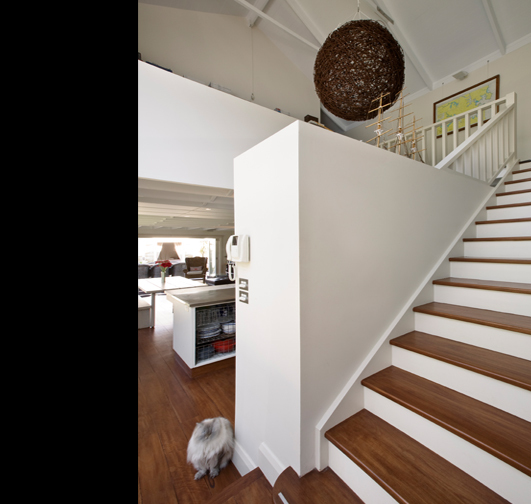 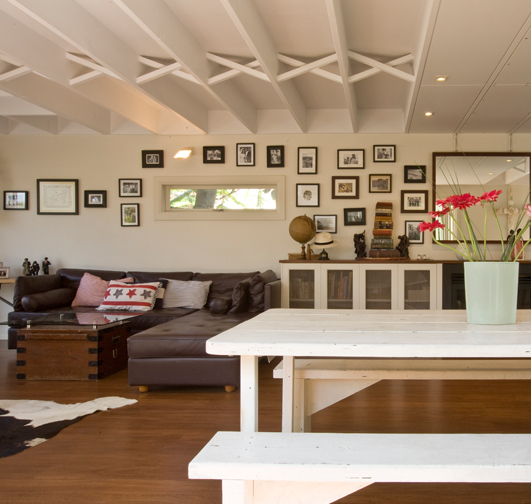 The shell of the existing house was retained and a new level added to create a two storey beach house suited to the lifestyle of a surfing family. 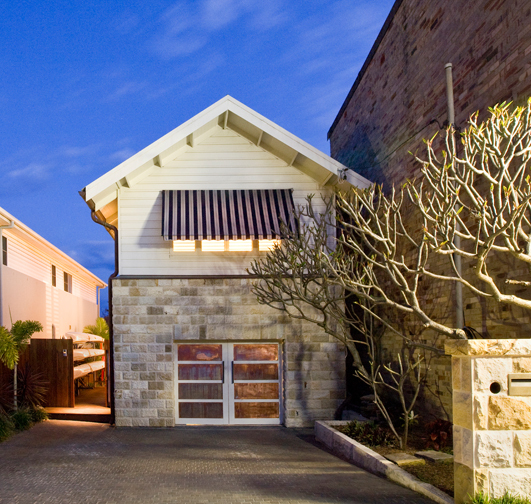 We created the casual character of the house by cladding the existing brown brick walls in sandstone, exposing the new first floor structure and its herringbone bracing, and using exposed timber trusses in the new open gable roof form. 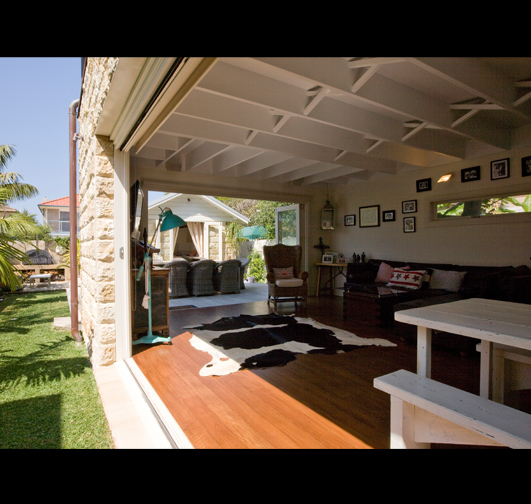 The backyard also became an integral part of the house through the conversion of the rear garage to a guest room and the creation of an entertainment space in the courtyard. 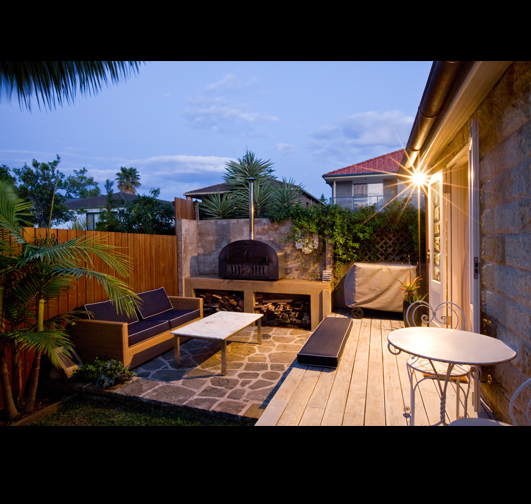 The inclusion of an outdoor pizza oven created a hub for the owners to entertain family and friends.